If you need help understanding the property licensing rules in Kingston you have come to the right place! We are experts in housing regulation and have produced this free guide to help you understand the council’s property licensing schemes. To help set the scene, the Royal Borough of Kingston upon Thames is in South West London covering an area of 14 square miles. Situated on the edge of outer London it is bordered by the boroughs of Wandsworth, Merton and Sutton to the east and Richmond and the River Thames to the north. According to the 2011 Census about 22% of the housing stock was privately rented which is slightly lower than the London average of 25% (1 in 4). You do not need a licence if you rent your property to a single family as Kingston Council do not operate a selective licensing scheme. If you rent out your property as a House in Multiple Occupation (HMO), the answer is a bit more complicated. Kingston Council operate both an additional licensing scheme and the mandatory HMO licensing scheme that applies throughout England. The additional licensing scheme came into force on 21 December 2012 and applied borough wide. The scheme lasted for five years and ended on 20 December 2017. However, that's not the end of the matter as the council introduced a new additional licensing scheme on 1 March 2018 which lasts for another five years. A new additional licensing scheme came into force on 1 March 2018. We believe Kingston Council have excluded section 257 HMOs from their licensing scheme although their website is not that clear so you may wish to contact them direct to check. Kingston Council’s HMO licensing fees vary according to the size of the building. In a property one or two storeys high, the fee is £200 (was £135 in 2015/16) per room available for letting. So that would be £1,000 (was £675 in 2015/16) for a five bed shared house. In a property three or more storeys high, the fee is £240 (was £200 in 2015/16) per room available for letting. So that would be £1,200 (was £1,000 in 2015/16) for a five bed shared house. 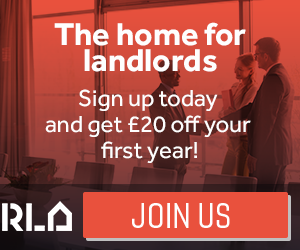 There is a discount of £100 if the licence holder or designated manager is a member of the London Landlord Accreditation Scheme or another approved scheme. Further discounts are available for licence renewals. There is an extra £300 fee if the council find you are operating a licensable but unlicensed property – they may also prosecute you, so you need to act quickly! The fees are correct as of November 2018 but may be subject to change in the future. You can find the fees listed on the council’s website. You can apply and pay online via the council's website. Alternatively, you can download an application form to complete by hand or contact the council and ask them to send you an application pack in the post. In addition to completing the application form, they ask you to provide various supporting information so make sure you have all your paperwork ready. Yes, in November 2015 Kingston Council introduced updated HMO Standards that you can download from the council’s website. Alternatively you can download a copy from the ‘More Information’ box on the right of this page. We like to try and make your life a little easier! The HMO standards cover a range of issues such as kitchen, bathroom and toilet facilities, fire precautions, heating, lighting and ventilation. As of March 2016, Kingston Council had licensed 319 HMOs, an increase of 67 over the last twelve months. In October 2016, the Council announced that 170 properties were licensed under the mandatory HMO scheme and a further 165 properties under the additional licensing scheme, a further increase to 335 properties. By March 2018, the total number of licensed HMOs had increased to 430. The council keeps a public register of all licensed properties which is regularly updated and can be viewed on their website. Yes, it seems like there may be quite a few. In March 2015, Kingston Council told us they had no estimate for the number of properties that need licensing under the mandatory HMO licensing scheme. But when the additional licensing scheme was implemented in 2012, they thought the scheme would cover 500 to 1,000 properties. So this does suggest they could still be hundreds of unlicensed HMOs still out there. If you are the landlord of a licensable but unlicensed property in Kingston, you need to act now to avoid the consequences. Alternatively, the council can issue you with a civil penalty notice of up to £30,000 for not having the correct licence without any warning being given, so this is really serious stuff. You could also be subject to a Rent Repayment Order and may have to repay up to 12 months rental income. Don’t put your livelihood and reputation at risk. Make sure you comply with the law. We can help you get your property licensed! (find out more). Kingston Council told us they have taken one housing prosecution over the five years from April 2011 to March 2016, so that puts them at the lower end of the prosecution league table when compared to other London boroughs. The prosecution was not for a licensing offence. Kingston Council has not obtained any Rent Repayment Orders from the landlords of unlicensed HMOs over the five years from April 2011 to March 2016. With potentially so many unlicensed properties still out there, we expect Kingston will be stepping up their housing enforcement action over the next 12 - 18 months, so beware! Whilst we don’t have any figures for the NLA or RLA schemes, we have got information about the London Landlord Accreditation Scheme that is supported by all the London Boroughs. In January 2016, they told us there were 300 accredited landlords in Kingston upon Thames, which was in the bottom quartile when compared to all London boroughs. By January 2018, that figure had increased to 420, which is in the bottom five when compared to all the London boroughs. To find out more about becoming accredited, you can visit the London Landlord Accreditation Scheme website here. A replacement additional licensing scheme was introduced on 1 March 2018. The decision was confirmed at the council’s Housing Sub-Committee meeting on 2 November 2017 (read here). We will explain the background to this decision. In December 2016, we discovered the council had just completed a public consultation on plans to review their additional licensing scheme. We understand the consultation took place from 7 October to 16 December 2016. Unfortunately, no one from the Royal Borough of Kingston upon Thames told us they were carrying out the consultation and so we were unable to tell anyone! When we carried out further checks in June 2017, we found the council were doing another round of consultation on proposals to renew the additional licensing scheme. The council said the consultation was open until 6 August 2017 although that was later changed to say September 2017. You can find out more information about the consultation on the council’s website. There is clearly a lot going on in Kingston upon Thames so we will monitor the situation closely and keep you posted. You can sign up to our free newsletter for all the latest news. In July 2016, we checked with Kingston Council and found that there is currently no HMO Article 4 Direction in force and no immediate plans to introduce one. No selective licensing in Kingston upon Thames although mandatory HMO and additional licensing applies borough wide.